At Community Living Solutions, we’ve been incorporating the latest senior living design trends into our clients’ projects to help boost their facilities’ appeal to prospective residents and their families. In addition to using national trend research, we conduct a thorough market analysis as part of our master planning initiatives to ensure we are providing the right solutions for the right facility. Prospective residents look to their own existing lifestyles in forming opinions about senior living design and function. In short, rural and metro markets differ in dynamics and preferences. Residents in smaller markets desire more flexibility. Seniors and their families prefer campuses that offer the full continuum of living options in one place. The market places significant importance on memory care services. 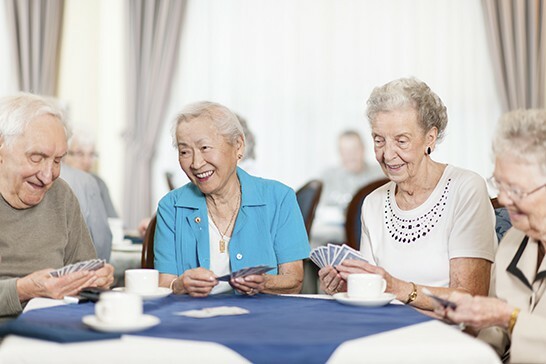 Senior living facilities that offer community services and amenities are highly successful. Nursing home design trends favor privacy and a homelike appeal. Future residents and facility leaders share concern about the ability to pay for long-term care. Prospective residents and their families turn to marketing materials from such organizations as AARP® and internet directories to help them choose a senior living facility. Internet search is widely used in finding and choosing facilities. Senior living communities need a professional website that is search engine optimized and contains valuable information to help future residents make choices. A market needs analysis may identify demand for additional nursing home beds at your facility. If you choose to capitalize on this opportunity, senior living communities in Iowa must obtain a Certificate of Need. Community Living Solutions has experience with the Iowa Certificate of Need process, and we are happy to help our clients navigate it toward a successful award. If you’d like to learn more on how conducting a market analysis leads to senior living design that appeals to your market, contact Vice President of Design and CLS Partner Duane Helwig at (920) 969-9344. You can also learn more and see before and after designs by attending a presentation Duane is co-presenting with Patricia McCullough of Health Planning and Management Resources at the LeadingAge Iowa 2017 Spring Conference. If there is one issue top of mind for senior living facility leaders, it’s finding and hiring qualified staff. The tight healthcare labor market, felt especially hard in rural areas, leaves senior living facilities struggling to find caregivers for their residents. Unfortunately, caregiver recruitment is not an issue that will be solved anytime soon. According to the federal Administration for Community Living, the number of U.S. senior citizens is expected to more than double by 2060. The phenomenon even has a name—the “silver tsunami.” With that burgeoning population, we’ll need more caregivers than ever. In Wisconsin, Gov. Scott Walker heard the plea from senior living leaders and other healthcare organizations and launched in March 2017 the Wisconsin Fast Forward training grant for healthcare. This healthcare workforce program provides $3 million in grant funding to train workers in health science, healthcare and other similar positions. The grant announcement was made at River Pines, a Grace Lutheran senior community in Altoona, Wis., which opened in 2016 with a person-centered household design completed by Community Living Solutions. River Pines has been lauded for its living and work environment, as well as its unique approach to resident care. While the grants will be an enormous help to those who apply for and receive them, shortages of caregiver candidates will remain. Many of the traditional recruitment efforts—online job postings, job fairs, employee referrals, open houses—all have a place in your healthcare recruitment strategy for CNAs, nurses and other caregivers. But, in today’s job market, it’s just as important for you to be connected as it is for job candidates. Making connections on social networks, especially LinkedIn®; developing relationships with local schools; and asking employees to talk about job opportunities wherever and whenever possible will all extend your reach beyond traditional recruitment practices. 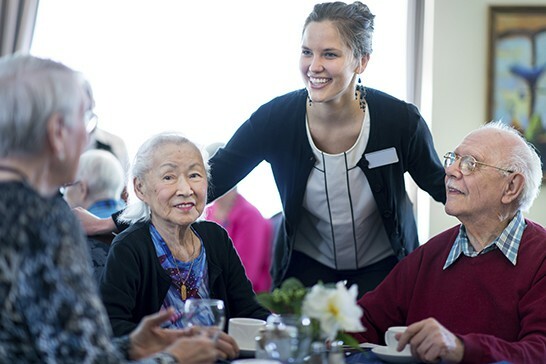 Some senior living facilities are finding success in rather unique ways; hiring candidates to fill in for roles as needed within the facility, rather than taking a permanent position. After about the first year, the employee may then settle into a desired role, where they are more likely to remain rather than finding employment elsewhere. Likewise, other facilities have tapped skilled talent who are not currently in the labor market, perhaps stay-at-home moms, retirees or students, who can work part time as needed. Creative tactics also are needed when attracting millennials, the generation that makes up the largest portion of today’s workforce. Technology: As part of your recruitment efforts, show millennials how you are using technology at your facility. Whether the technology is used to make your facility more efficient or whether you offer activities that teach residents about the latest tech gadgets, millennials will appreciate—and expect—the use of technology in your community. At River Pines, for example, the technology that supports caregivers gives them more time to do what they love—interact with residents. Sense of purpose: It may go without saying that a senior living community has a huge sense of purpose. Millennials want to see you live that purpose, as well as your company values, day in and day out. Let your purpose and values shine during each step of the recruitment process. Career advancement: Millennials want to be future leaders. As part of recruitment, have them talk to staff members who advanced in their careers while at your facility. Millennials want to know they will be supported in professional development and in creating a career path. River Pines is a great example of how design and facility amenities for residents also serve as amenities sought after by caregiver candidates. River Pines is spacious, bright, airy, and most of all, home-like. Residents and staff have access to technology, the outdoors and relaxing multi-purpose areas. They call it concierge care. Shortages in caregiver staffing are expected to remain with us for many years to come. By setting yourself apart from your competitors in recruitment efforts, you’ll have greater success in recruiting and retaining qualified candidates. If you are interested in learning more about senior living architecture and construction or issues facing senior living facilities, read our blogs.